Chinese white dolphins in Hong Kong are usually found North and West of Lantau Island. The proposed reclamation area for the third runway is situated in the middle of the main traveling corridor for the dolphins. This will impede their ability to move from one area to another for different activities. The situation is just like how New Territories and Hong Kong Island are both populated with Hong Kong people. However we will move from one area to another via various transportation methods. The Hong Kong-Zhuhai-Macau Bridge construction has already evidently affected the dolphins mobility between the North and West Lantau as the bridge columns are situated within the traveling corridor. Along with the proposed third runway reclamation, the dolphins’ traveling corridor will be completely obstructed. In fact, the Urmston Road is the busiest shipping channel in Hong Kong, especially at the section between Tuen Mun and Tap Shek Kok, where overlaps with the dolphins’ traveling corridor. If dolphin movement has to shift north into Urmston Road, they will certainly face greater risks from vessel collision and underwater noise, as the EIA report also mentioned. 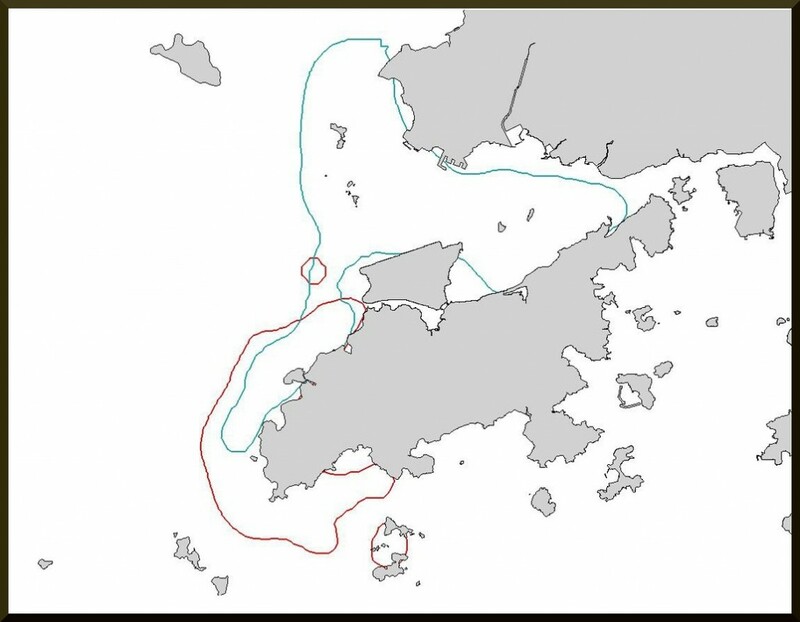 In fact, long-term monitoring data on the local dolphin population has shown that dolphins have been actively avoiding the section of Urmston Road between Tap Shek Kok and Ma Wan in the past decade, which is also the case at present while the dolphins’ traveling corridor has already been partially obstructed by the HK Boundary Crossing Facilities (HKBCF) reclamation works. The EIA report should provide solid evidence to back up the assumption that dolphins can move safely through this dangerous passage to the BMP area, when the traveling corridor will be further contracted by the new land formation in addition to the increased amount of HSF traffic from the Sky Pier. However, the EIA study did not examine or predict the potential changes in the interactions between the two social clusters of dolphins, which could be seriously affected by the potential obstruction of the dolphins’ traveling corridor between Northwest and West Lantau, in addition to the potential cumulative impacts from the present HZMB construction works (i.e. Hong Kong Link Road) that could affect the traveling activities of individual dolphins from the two social clusters.